Saving A Camel In KSA - Shocking Video ! 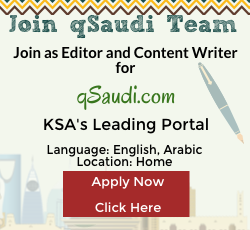 https://qsaudi.com/wp-content/uploads/2015/02/camel.jpg 360 480 SaudiExpert https://qsaudi.com/wp-content/uploads/2013/12/qs-logo-1.png SaudiExpert2015-02-16 14:18:422017-12-21 14:38:04Saving A Camel In KSA - Shocking Video ! Medical Insurance is a Must for Families living in KSA! https://qsaudi.com/wp-content/uploads/2014/06/insurance1.jpg 252 484 SaudiExpert https://qsaudi.com/wp-content/uploads/2013/12/qs-logo-1.png SaudiExpert2014-06-15 14:30:272017-12-22 10:20:45Medical Insurance is a Must for Families living in KSA!